Why do we need this addition? How much will it cost and how will we pay for it? What will the addition be? What are the details? Why do we need to do it now opposed to waiting until later? The purpose of this page is to answer most questions around the building project so everyone can understand why we are doing it and exactly what “it” is. Click the PDF files below to see each detailed drawing. Below are some questions and answers around the building project. What is the purpose of the expansion? If you have have been to Pleasant View it doesn't take you long to realize the importance of our Kids program KidZone. KidZone is a vital part of Pleasant View and Pleasant Views vision for the future. KidZone requested more room over 6 years ago to expand thier programs and capabilities. The expansion would give KidZone new classrooms and a large new meeting area so they no longer need to use the "Fellowship Hall" (eating area downstairs). This will allow Kidzone to have a dedicated and protected area while allowing the Fellowship Hall to be better utilized as intended for multi-purpose events that require setup. Perhaps our most critical need is for Nursery Space. We have had as many as 25 children at a time in the limited space, causing safety concerns and frankly not making a good impression on visitors. To temporarily address this, we have recently expanded the Nursery to have a separate room for the infants. The expansion out the back includes expanded and improved facilities for infants and toddlers including a dedicated bathroom and mother's feeding room. The expansion would include measures to make the building more accessible to those with Disables. Currently, the Church building is not considered accessible due to being 2 levels without ramps or an elevator and facilities lacking accessible features. The expansion will include an elevator allowing for easy access to the whole facility. A longer ramp at the main entrance with a roof over the top will also be a major improvement for all. Additionally, bathrooms will be updated to include required accessible features. Being a accessible, comfortable, and secure place of worship for those in our community with disabilities is our goal. New entrance will include a covered drop-off area to accommodate disabled and older members as well as families with little ones. We also envision greater potential for various events - think valet parking. Pleasant View has a vision and purpose to be open and welcoming to our community. We want to have an entrance and lobby area that allows us to put those values into action. Our current entrance is a bit of a confusing fork in the road for those going into the lobby or those going down to KidZone. The expansion will include a large entry point and central lobby area. 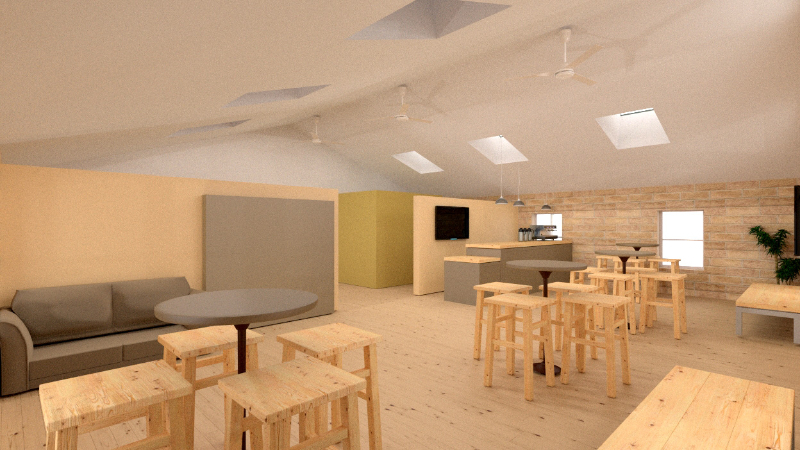 This area will include a check in for KidZone, cafe type gathering room, and a kitchenette area so that light refreshments can be provided including coffee and tea. This area would also be available for use by the members and community for small gatherings like birthday parties or small group gatherings. 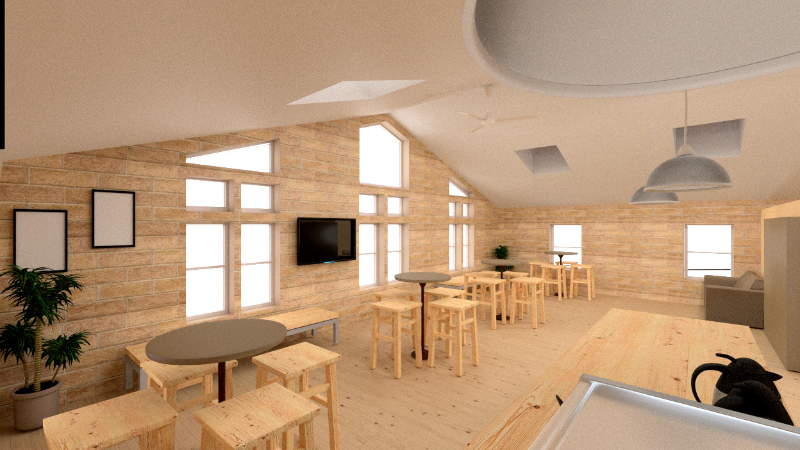 The expansion will relocate the library to the back area and provide more area as well as enhancements. Our library is heavily used and we want to increase the capabilities for more books, videos, and small group materials. The church building is being used with an ever increasing frequency. The building, and in particular, the fellowship hall is used throughout the week by our own attenders as well as the others from our community. Small groups and ministries meet at the church. With the addition of the cafe area in the new expansion, our building will offer more opportunities to be used and be available to more people. The facilities and parking will allow multiple bookings at the same time. We also see the potential for greater community outreach with these facilities. In the same way that the expansion will help KidZone downstairs, Wildfire and Ignite will have more areas to utilize. Again, this will give these youth ministries greater functionality and allow them to do more without having to work around other church activities. Why do an expansion now? Building materials may be priced lower as various commodity inputs have dramatically declined in price. Need Handicap Accessibility. 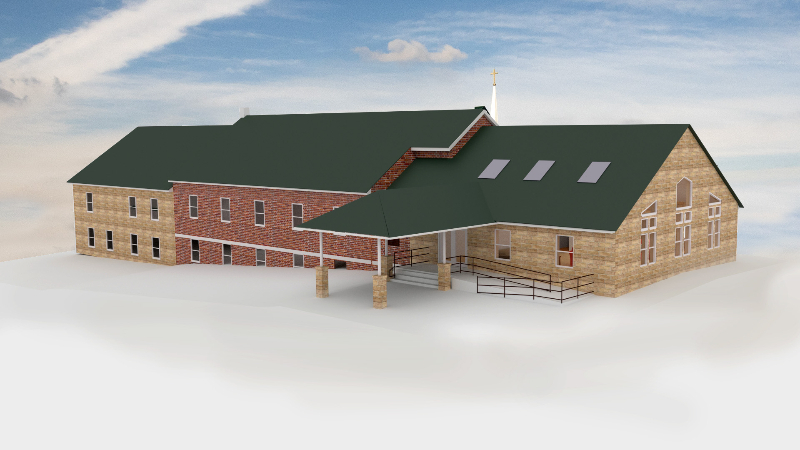 The expansion will give the church much needed handicap accessibility. The expansion includes a handicap bathroom, easy access covered entrance and an elevator for access to the basement. All our ministries are growing and could use additional space. KidZone continues to expand and serve as a growth driver of the Pleasant View fellowship, the addition will add a large meeting area for KidZone along with additional classrooms. The expansion will also include a multi-room nursery for different ages and a mother's room for mothers and infants. We would ask that everyone would keep Pleasant View in your prayers. 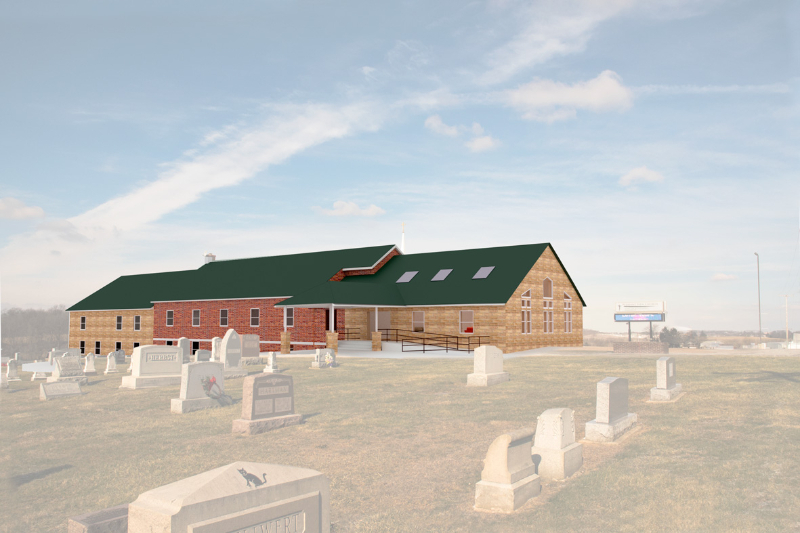 We understand the risks to doing something like this but we believe it is God's will for the Church to proceed with this expansion. The church has been doing and will continue to do fundraising to raise enough for a down payment on the expansion. Please consider contributing to a fundraiser or helping with the fundraiser. If you are interested in giving to the building project please consider giving a donation by following the link below.